A home warranty is like having a manufacturer’s warranty on all of your home appliances. Think of it this way, home insurance protects the structure of your home and your belongings in a natural disaster (like a tornado), while a home warranty can protect you if your appliances just break for no apparent reason. We’ve been researching and writing about home warranties since 2014, and many of us who work on Safe Smart Living have first-hand experience with home warranties. We’re familiar with what they cover, how they work and more. We’ve also received feedback from our readers on companies they do or don’t like. When you buy a house, you are required to get home insurance to cover your home, but a home warranty is optional and covers your appliances and things within your home. While both home insurance and a home warranty are meant to provide you with peace of mind, they cover different things. If you’re someone who struggles with the idea of saving money to cover an appliance repair vs having a monthly fee cover unexpected costs, then a home warranty might be good for you. There’s peace of mind in knowing that you don’t have to have thousands of dollars on hand in case a crucial appliance like your heating or A/C breaks down. On the other hand, customers are skeptical whether companies actually repair items vs simply “band-aiding” them to get them working again, and whether the service provided by the repair companies your home warranty provider employs match the best repair companies available in your area. We address all these questions and more (and if we don’t, feel free to ask us in the comments below or on the respective page you’re on!). What Are The Best Home Warranty Companies? As you’ll read about in our Best Home Warranties article, our top three picks are: American Home Shield, Total Protect and America’s 1st Choice Home Club. All of our articles include plan pricing, pros, cons, key features, coverage details, coupon codes, real customer reviews and more. In these articles, we compare different aspects head to head so you can see how price, coverage, customer service and more vary between two specific providers. Don’t see the showdown you’re looking for? Ask us to conduct it! We’re also beginning to cover providers based on geographic location. We’ve started with one of the largest states, Texas, and cover both national and regional companies. Which state or city would you like to see us review next? Let us know in the comments. Don’t get stuck with a broken AC system or an empty bank account. Let a home warranty save you time, headache and money. 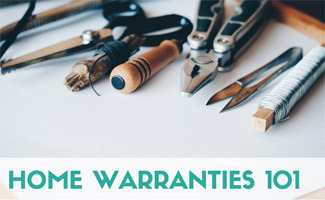 But before you dive into purchasing a home warranty, check out our appliance repair tips to get an idea of what’s involved in a typical appliance repair, so you can decide whether you’d prefer to do the small repairs on your own or add them to a home warranty plan. What are you looking for in a home warranty?